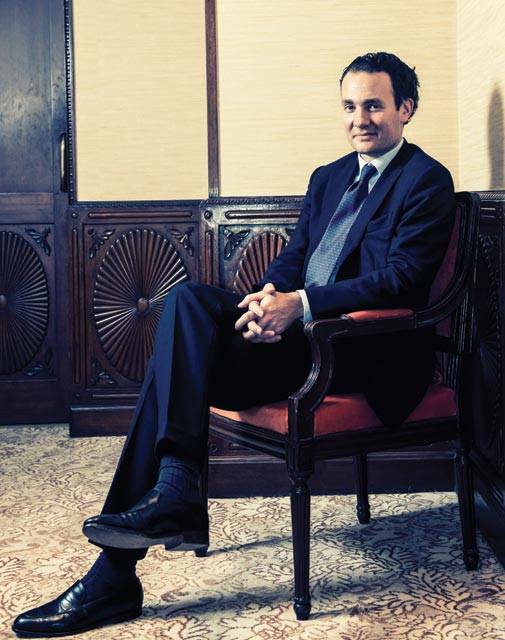 Rothschild & Co. has been in India since the mid-90s, actively participating in the nation's growth story. 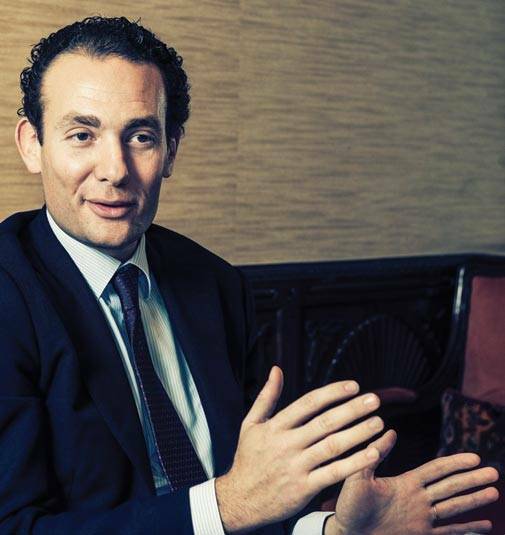 Rothschild & Co. has been in India since the mid-90s, actively participating in the nation's growth story. One of its biggest contributions was advising the Department of Telecommunications on its spectrum sales, including the first 3G spectrum auction in 2010. Of late, it has advised Mahindra & Mahindra on acquiring Pininfarina from 14 Italian banks, handled Intas Pharmaceuticals' and Accord's 603 million acquisition of Actavis from Teva, and further advised the consortium of Indian Oil Corporation, Oil India and Bharat PetroResources on acquiring 29.9 per cent stake in Rosneft-run Taas-Yuryakh oil and gas project and the $2 billion acquisition of 23.9 per cent equity in Vankor from Rosneft. It also advised on United Spirits' 430 million sale of Whyte & Mackay to Emperador. 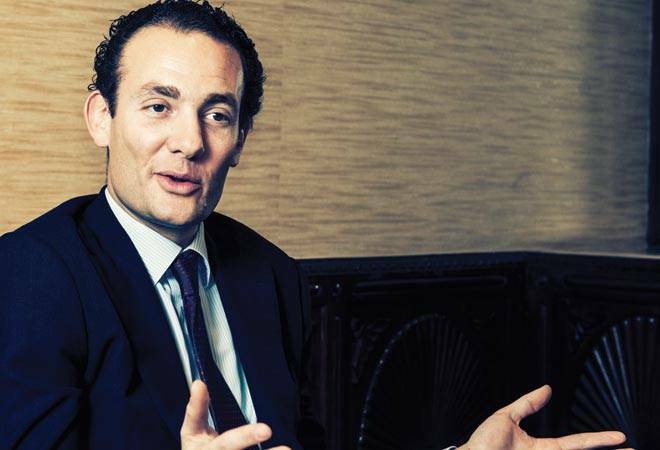 Business Today's Rajeev Dubey talked to the investment bank and advisory group's deputy chairman and heir apparent Alexandre de Rothschild on the global economic landscape and its relevance for India. Here are the edited excerpts. Which way is the global investment wind blowing this year, given the global economic uncertainties in Europe and China, while the US recuperates? The year 2016 has been full of uncertainties and surprises. Who would have predicted Brexit or Trump? What is a bit of a paradox is that even in this uncertain environment, there has been an extremely high level of activity. Our main business is merger and acquisition (M&A) and financing advisory. And 2016 will probably be our best year ever in terms of advising on a number of transactions throughout the world. Then there are a lot of economies, which are not experiencing a high level of growth, such as Europe. A way to address this is to be acquisitive. That's a trend we have been observing. In the US, when you have large deals happening, it gives momentum to the mid-market. In 2017, we may see the level of 2016 diminishing a little. But we have seen the beginning of the year, which has been very active. France, where we are legally headquartered, has seen two major M&A deals in the first weeks of January. So there's no sign of a drop. If you look at the numbers in a granular manner, there could have been signs of a bit of softening during the same time last year. What about the fund flow? It's difficult to identify a particular pattern. You see interest in certain sectors and clearly, investors who are investing in Europe are more interested in services business than in heavy industries. Whats the investment trend for Asian businesses, especially in China and India? You have cycles. Investors look at China and India as places where you must have a presence if you are operating a global business. But picking the right moment to go into those markets is always very difficult. We have seen many companies who want to go to China and we recommend them to go with a partner most of the times. The same can be said about India. Learning about the market by teaming up or by establishing a joint venture with a strong local business is the right thing to do. But there are waves. China, at the moment, is very eager [to bet] on European assets. Also, in the UK, there is a window of opportunity with the pound weakening due to Brexit. What we have observed in our dealings with Indian companies is there is an emotional or historical tie with the UK that probably makes it the preferred destination for Indian firms. Is there a change or a pattern regarding inbound investments in India and China? If you look at India, there's certainly a great business momentum, which makes it more attractive than it was a couple of years ago. We would say India is a phenomenal country in terms of entrepreneurial opportunities and creation of talent across several industries. But there was also a feeling that the framework was probably a little fragile and, therefore, foreigners entering the India market should be more cautious. That's going in the right direction now; the framework has strengthened. Certainly, the bottom remains as strong and is growing even stronger. In China, there are obviously some windows of concern. You hear that the GDP numbers are softening. But we advise people to always have a long-term view. The temptation is always to compare one with the other, but one needs to be cautious and should not generalise. India is certainly ticking the right boxes from the investors' point of view. How does the group view the world economy now? We tend to have a micro approach to things. Europe, where we have the strongest footprint, is clearly a market where, if you look at the macro basis, you could worry. There's little growth, there's little prospect of growth increasing in a major manner. If you look at the micro basis, you have phenomenal companies who probably have headquarters in Europe, but who have an international dimension. You have a market for 500 million sophisticated consumers, which is a nice place to start, and you have champions across all sectors. If you are able to navigate and pick individual winners, you can do very well in Europe. But for that, you have to have sourcing capabilities. In other ways, you could say I wouldn't recommend you to buy the index. But if you are doing a pick-and-choose exercise identifying sectors and within those sectors, certain segments, which have growth patterns, you can do very well. The US is probably too early to say. There is surprise for everyone and there is no way you expect the markets to react that way. But if you analyse the reason why they reacted that way, probably they are right. Possibly, all the indications of more infrastructure spend, some degree of liberalisation and production are a boost for the economy. What will be the global impact of firming commodity and oil prices? In commodities space, the violence of the movement has caught many industries by surprise. But coming back to a phase of stability is a good thing. Oil has been very volatile and has seriously impacted the companies that have oil as an underlying commodity and also the countries that are extremely dependent on oil. But it seems to have stabilised again in the neighbourhoods to allow the flow of business to resume. You did the telecom auctions for India in the past. But auctions as a way to discover prices have not delivered the best results. Could there be other options? It may seem a bit tainted because we do a lot of auctions. But it's a fairly transparent and fair method of putting something on sale. It's a way to evaluate and benchmark the interest, to assess the credibility of that interest - not only regarding prices but also regarding the condition. We find it a fairly democratic and transparent process. There was a phase in global M&A when very large -but few - acquisitions happened. Over the past couple of years, though deals are smaller, the numbers have increased. Where are we now? There is always a lag. When you have large-cap deals, you will see the mid-market following, but it follows a few years later. In a way, M&A is cyclical. We had our previous record in 2007. And 2016 would be another one. It can be swings of 20-30 per cent revenue movements. Hedge funds have probably faced a tougher test than private equity (PE). PE is a little healthier and, therefore, we have not seen the PE market being shaken so much. Investors seem to be backing good PE managers and people who have fundraising objectives seem to be leading. What sector will see great traction this year? It's pretty broad. Technology is attracting a lot of [money] flow not only from tech-specific deals, but also from non-tech industries who are facing possible disruption and are making acquisitions as a way to learn. These are not necessarily very large deals but its one way of entering the technology space in general. Healthcare, education and consumer-facing businesses are also of interest. And the key sector in India for inbound investments? It's difficult to pick one. Healthcare, services business and businesses that are fuelled by natural growth on the back of positive demographic trends are good sectors. There is general excitement for India at the moment, which is not something short term but something real, which we see among all foreign investors. Looking at a two-three year trend, how is the investor interest for India, specifically from European businesses? What about Indian interests in Europe? For European investors, it's becoming real, especially in the context of a strengthening general framework. The question is: What's the best way to make an investment? Should it be done by acquiring a company or forming a joint venture or should one do it step by step? But the willingness is absolutely present, especially when the alternatives are fewer. The general sense is that the government sees business as part of a solution and not part of the problem. And it genuinely aspires to make things simpler and more business-friendly for the businesses that want to operate here. The government says this repeatedly and there are evidences that it is intending and aspiring to make that real. Changing any country is difficult and changing India - which is 20 countries put together due to changing languages and cultures - is a challenge. But the British and European businesses think that the intent is real and so far, the available evidence shows that things are moving in the right direction. As for Indian investors' interest in Europe, there is an appetite for internationalising the businesses for diversification purposes. Therefore, healthy companies in India are looking at Europe with keen interest.